These are the last two of the China Glaze Sea Goddess Collection. Wish On A Starfish is a pink with a golden shimmer. And a sparkly textured finish. Beautiful colour but this is the kind of pink that I don't seem to suit. Sand Dolla Make Me Holla is the most unusual of the collection. 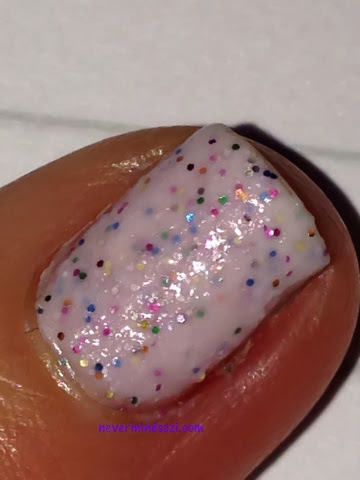 While it's a similar creme and matte glitter finish like Teal the Tides Turn, it's a milk white creme full of multi-coloured glitters. I really grew to love this one! Check out that rainbow of glitters! Such an awesome collection! 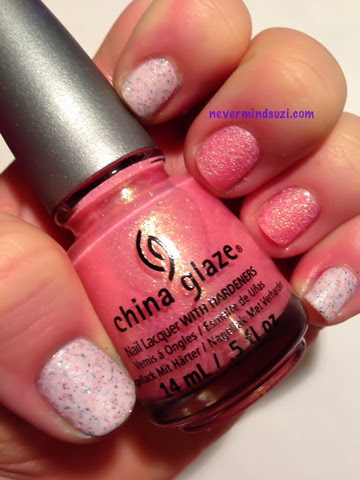 I hope China Glaze keeps up the par this year!